Alexandria Yellow Cab has a rich history of excellent service for more than half a century. Rely on us to look after you on your way to and from Ronald Reagan Washington National Airport (DCA). You can use Voice Search option on your smartphone and use “taxi near me” phrase. Our vehicle will be there in a matter of minutes, ready to take you to your desired location in style, for the most affordable price in Northern Virginia. Our DCA taxi service nearby is a perfect, hassle-free swift transfer option whether you are arriving or departing from DCA. 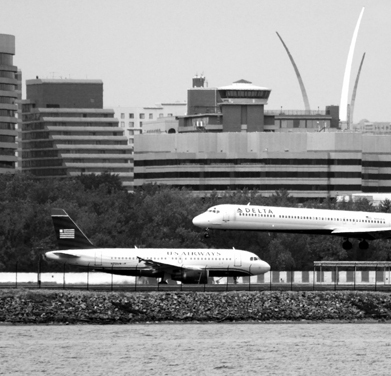 Ronald Reagan Washington National Airport operates domestic and international flights. It serves as a hub for American Airlines and has 3 runways, 2 terminals, and 44 gates, and if you opt for AYC and you’ll get there in no time. And a gentle reminder; should you need a ride to IAD or BWI or any other airport in the Washington DC Metropolitan area, our team stands at your disposal for that as well. When you use Alexandria Yellow Cab taxi service near DCA you are guaranteed to be traveling in carefully cleaned and well-presented vehicles. Whether you are traveling for business or leisure, next time you have a flight to catch, choose our taxi service, and you’ll fly away relaxed and worry-free. Our vehicles offer plenty of room to relax rest your back and stretch your feet. They also have plenty of space for all your belongings, which is convenient for long trips. AYC taxi near my location is the most reliable way to travel to and from any airport. Our cab service guarantees that you travel efficiently and our customer service is available twenty-four hours, seven days a week to look after you and answer all your queries. Your satisfaction is our priority and innovative technology and efficient processes ensure you are always picked up on time, anywhere in Northern Virginia, including but not limited to Alexandria, Seminary Hill, Rosemont, The Berg and Cameron Station.